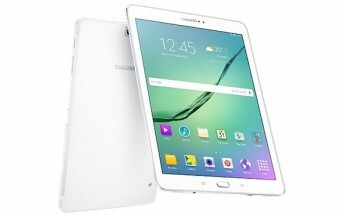 According to the listing, the Galaxy Tab S2 model being tested is the one with 9.7-inch display. The 8.0-inch model running Nougat hasn't been spotted on the benchmarking website yet, but we expect that to happen soon. As for the when the update will be rolled out, there's currently no information on this. 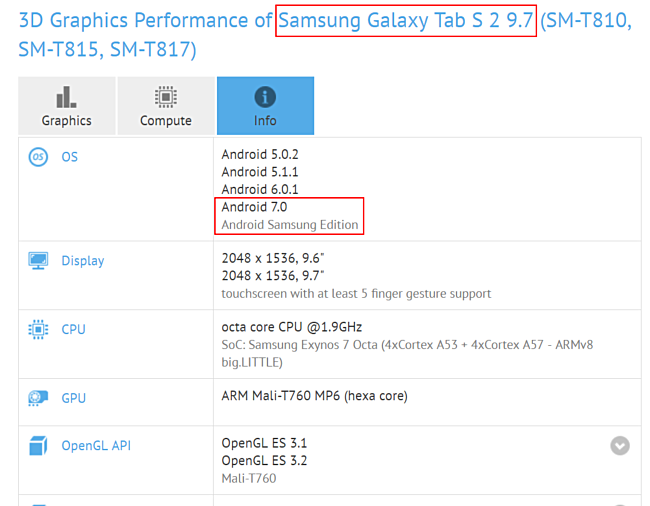 And considering that even the Galaxy S7/S7 edge smartphones are yet to get the final update, we don't think the Galaxy Tab S2 will be receiving Nougat anytime soon.